The Washington State Patrol (WSP) and local police are currently investigating two injury accidents in Kirkland; one is a pedestrian accident involving a suspected drunk driver and the other a hit-and-run crash that occurred on Interstate 405. 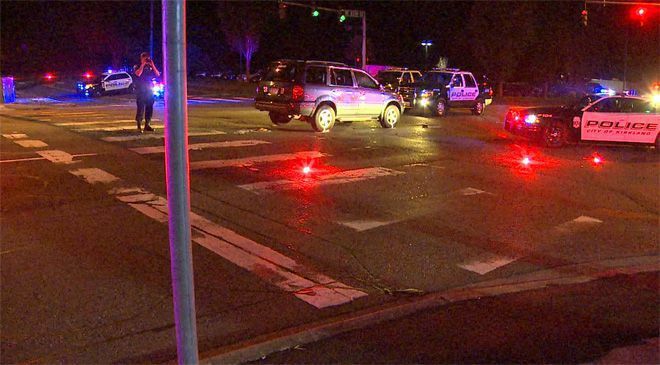 Police were called to the intersection of NE 85th Street and 124th Avenue NE in Kirkland at approximately 11 p.m. on August 7 after receiving reports of a serious pedestrian accident. Upon arriving at the scene, officers found a woman who had sustained serious head injuries after being struck by a Honda Pilot. The woman was conscious at the time first responders arrived at the scene, and police had reason to believe that the man driving the Honda Pilot was under the influence of alcohol at the time of the incident. The male driver, who was not identified in news reports, was arrested at the scene and booked into jail for investigation of driving under the influence. The woman was transported to Evergreen Hospital for treatment of her injuries, and there were no available details regarding her condition. On the evening of Sunday, August 11, a woman suffered non-life-threatening injuries after her vehicle was struck by a hit-and-run driver on Interstate 405 in Kirkland. According to officials with the WSP, a small passenger vehicle crashed into a woman driving a Mercury Mountaineer on northbound I-405 at milepost 22 near the Northeast 160th Street exit. The hit-and-run vehicle was dark in color according to officials and may have been dark green. The collision caused the victim’s vehicle to leave the highway and roll over onto its roof before it came to a stop. Trooper Chris Webb said the woman’s vehicle “was basically blocking the exit ramp” when it came to rest on the roof. Officials are asking for the public’s help in identifying the hit-and-run driver and ask that anyone who may have witnessed the collision to contact Detective Greg Wilcoxson at 425-401-7746 or Detective Russ Haake at 425-401-7717.